Welcome to Wow Us Wednesdays! Just a reminder that this party is for home and garden ideas, DIY, crafts and recipes. I look forward to all the inspiration each week as my readers do, too. I have been with my mom the last few days as she was moved from rehab back to the hospital for blood transfusions following blood work that showed she was anemic. This is not the iron deficient kind of anemia. In fact her blood is not making new red blood cells so they did a bone marrow biopsy yesterday and we are waiting on the results. So even though she acts better she is still having medical issues. Thanks in advance for the continued prayers. 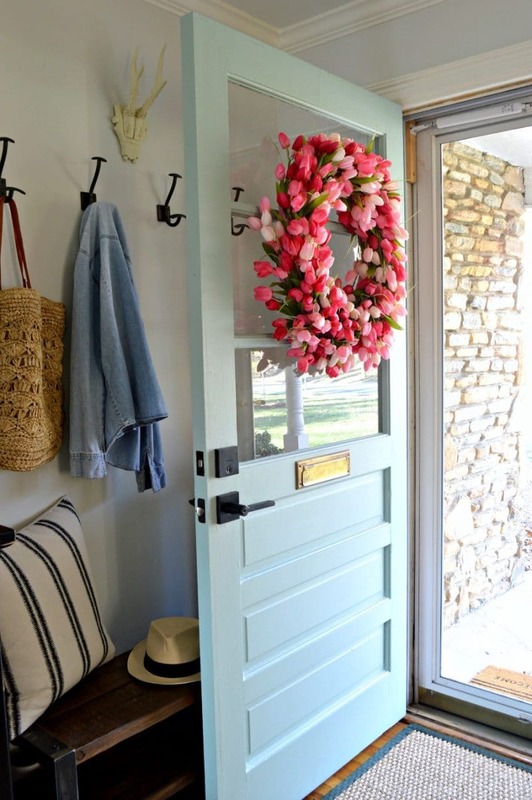 Love this beautiful DIY tulip wreath on this cute blue door by Chatfield Court. See how this buffet was updated to be all shiny and glam by Jennifer Allwood. 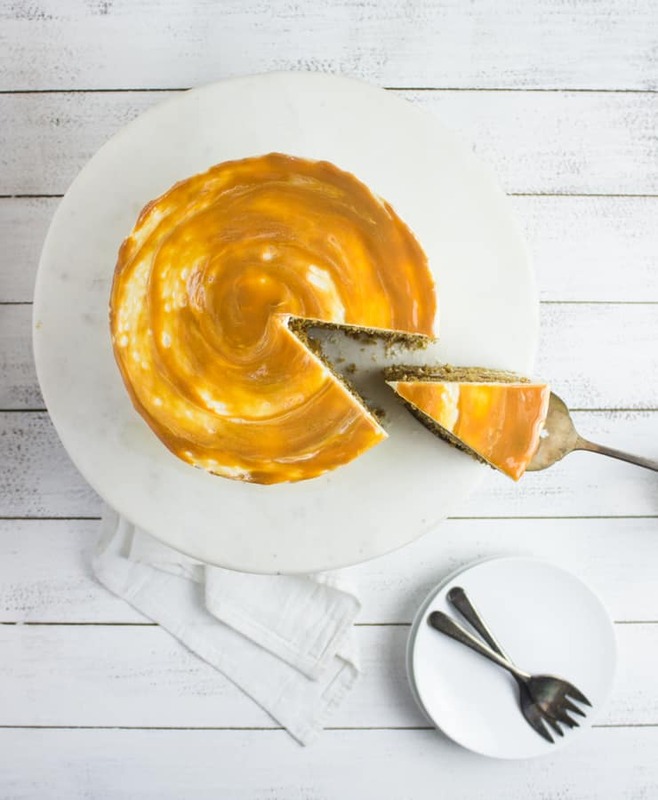 Let's make this caramel macchiato cake by The Simple Sweet Life. Thanks for partying here and now we want to see what you have to wow us with this week. Thanks for hosting each week! Have a beautiful Wednesday, Kim! Kim, I hope the best for your mom. Thank you for hosting another great link party! Thanks so much for hosting each week and for sharing my pink tulip wreath! It's always a thrill to be featured at your party. So sorry to hear about your mom. Sending prayers for her. Sending u good thoughts and wishes for your mom Kim. I hope your mom gets good results from her tests. Sending prayers. Praying for your mom, Kim. take care. thanks for taking the time to host the party. Hi Kim - thanks for hosting in the midst of your turmoil. Prayers for your mom and you! Sorry about your mom and sending prayers for her and you! Thank you so much for hosting another great party Kim!! Praying for a positive report for your mom and thank you for hosting. I'm so sorry to hear of your mom. Hope they can figure things out soon. Thank you for hosting! Sorry to hear about your Mom, Kim. Continued prayers. Thoughts and prayers for your Mom. Thank you Kim for your 382nd Wow Us Wednesday. Prayers for your Mom and your family. Sending prayers, hugs and love. So sorry to hear about your mom. I hope she's feeling better real soon. always praying for your mama....and you and your family. this must be tough on all of you. So sorry to hear about your mom. I hope she's doing better soon. Thank you for hosting even during a trying time. Loved the features...Thanks for hosting....and my thoughts and prayers are still with your mom who has truly been through so much and I know how much you have been by her side helping and comforting her. She knows how wonderful it is to have a daughter like you!